Eastbay OMS is owned by Dr. Alan P. Chun, DDS, MD, a board-certified oral & maxillofacial surgeon. Dr. Chun practices a full scope of oral and maxillofacial surgery procedures. Because of his extensive training and years of experience, he routinely performs everything ranging from basic teeth extractions and wisdom teeth removal to corrective jaw surgery. In addition to those procedures, he can also diagnose and treat traumatic facial injuries and TMJ disorders. We are also happy to be one of the best dental implant specialists in the Eastbay area. Everyone on our team is highly trained to be able to provide you with the highest quality dental implants. In addition to the dental implant procedure itself, Dr. Alan P. Chun performs a full range of bone grafting procedures. Because of his expertise in bone grafting, he is able to prepare sites for more complex cases that involve implant supported dentures, implant supported fixed crowns and implant supported fixed bridges. My dentist sent me to see Dr. Chun because I fractured a tooth which had to be removed. I was in pain and Dr. Chun was able to get me in right away. Everything went great. Dr. Chun and his staff were very professional, friendly and made me feel at ease. After the tooth was pulled, I had minimal discomfort. That first evening, Dr. Chun called me to make sure everything was ok. About six days later, I went back for the follow-up and my mouth is recovering with no problems. I highly recommend Dr. Chun and his office. I’ve worked with Dr. Alan Chun for a year now, and am very happy with the results. The Oral Surgery Staff is friendly and kind, and he is a perfectionist, very talented, and does a great job making dental implants turn out natural and aesthetically pleasing. His team has put forth a lot of effort to make the business better, and I am very happy with my results. I just had two extractions at the same time and bone grafting. I Had high anxiety his assisting help was wonderful they put me at total ease. Doctor Chun knew exactly what to do very professional no pain except for normal amount to get numb. I'm on day two of healing and doing great!! No problems at all. im going back for two implants and I trust him and his staff 100%. I have been a patient of Dr. Chun's for over 12 years. Around that time, I have unfortunately needed 2 tooth implants and am currently on my 3rd. To make matters worse, I had a pretty bad bone loss and have needed bone grafts done along with the implants. First of all, Dr. Chun's work is impeccable. I wouldn't know this myself, but having had 3 dentists during the last 12 years, they have reviewed with me their x-rays and commented how impressed they were with the oral surgery work. Secondly, Dr. Chun is thorough in his explanation so that I understand all my options and also know what to expect. I especially appreciated this the first time I had to undergo the procedure. It went so smoothly, I have never considered having anyone else perform my implants. Lastly, Dr. Chun is extremely caring. He consistently follows up with a personal phone call after each step of the procedure to ensure there are no problems. Stephanie and everyone in the office staff is friendly and welcoming. For the reasons above I highly recommend Dr. Chun. I was really taken aback when I read one review that described him as rude and arrogant. I personally cannot imagine him being either - definitely not rude. This guy knows his stuff and if you look into his credentials, he is as accomplished as you can get. Perhaps his knowledge and honest advice can be mistaken for arrogance. But I choose skilled, immaculate work over sugar-coated care any day. 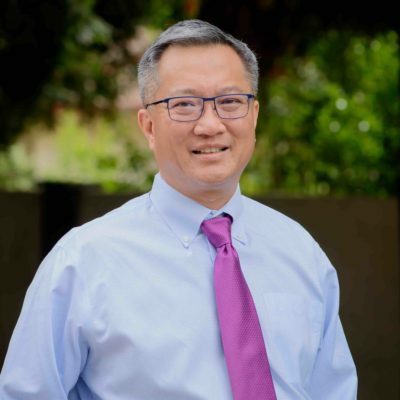 Dr. Alan P. Chun was born in Castro Valley, CA and raised in Livermore, CA. He is a Board-Certified Oral and Maxillofacial Surgeon. His dental education began when he received his undergraduate degree in Biochemistry from the University of California Davis. In 1991, he received his Doctorate in Dental Surgery degree from the University of California Los Angeles. After that, he went on to complete his Medical Doctorate degree from Harvard University in 1994. Dr. Chun’s residency was completed at Massachusetts General Hospital in Boston, MA. He obtained his Certificate of Oral and Maxillofacial Surgery in 1997. Following this program, Dr. Chun completed a one-year Fellowship in Cosmetic Surgery with the American Academy of Cosmetic Surgery. Your satisfaction is our top priority. We believe that great dental care is a right that all patients should have access to and receive. If you are new to the area and looking for a general dentist you can bring the entire family to Echo Dental. Read the reviews from all of our happy patients on Google, Yelp, and Facebook.